The Low-Down: What Is Your Attention Worth? 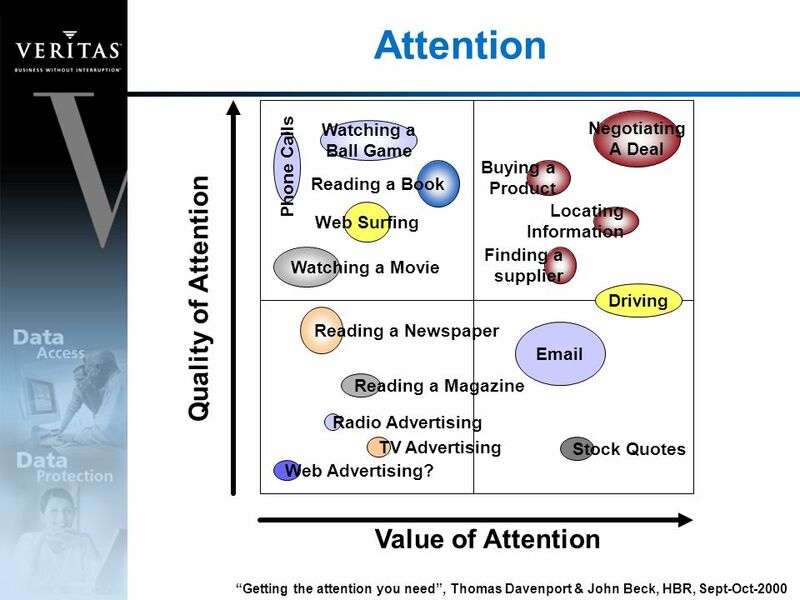 What Is Your Attention Worth? These are calculations increasingly important to determining the value of those enterprises competing for that attention. The conversion of attention to sales is the even more crucial factor in evaluating financial success. All those 'free' eyeballs contribute to the astounding margins that have enabled tech companies dominance of their sphere. “The saying is, ‘if any product is free than you are the product’ and so your attention is the product.” When wealth is defined as time, and value as attention, resources are only expendable, not obtainable. Media thrives (to) capture your attention and consume your time. Social media is just the latest extension of this economy. Take an intrinsic human need or desire and monetize it through paid media. Success is the combination of using time effectively and being intentional with our attention. My feed is an unbelievably sad phrase. The not-so-subtle use of words like feed and user are both appalling and comical. Scrolling for satisfaction is a depressing act to witness. It’s off-putting. More startling yet, is catching yourself in a moment of free fall, like nodding off in a meeting, when you jerk your head back, wipe the drool off your mouth and try to figure out how long you were out for — and who, if anybody noticed. It makes me sad, like watching sea turtle hatchlings, knowing that only one in one thousand will traverse the predator laden beaches, navigate the waters and reach adulthood. The tragedy isn’t the action. It is the manipulation of their pursuit. What 99% of sea turtles aren’t hip to is that their hopes, dreams and natural instincts propel them into an ecosystem that has adapted to use their natural instincts against them. The turtles unknowingly become food. Humans enter a system designed to consume our attention by redefining it as value and wealth. Subjected from birth, the message at every media touch point is that everything worthwhile is available for purchase. In all moments, at all times, everything is dragging and pulling at our consciousness, striving to capture a moment of attention, a click of the keyboard, a couple zeros from our bank account and a couple bucks from our pocket. The passive absorption of content and the endless longing for another friend, a new follower and the promise of something more aesthetically pleasing and more valuable than our own circumstance is exponentially proliferating our sense of worth and satisfaction. Living as a brand, the hunt for value, and the need for instant affirmation from peers and strangers isn’t new, it’s just available in bulk. If television institutionalized the ironic perspective of Generation X, certainly social media is facilitating the over-consumption of millennials. GenX had a television in their bedroom. Millennials have a TV in their pocket. The continuous drip of advertisements, radicalized propaganda and borrowed equity is enough to drive a Thera Monk mad. Increasingly, the greatest societal value is assigned to the largest quantity rather than the highest quality. Post-modernism declared that the most successful life is the most pleasurable one. Quantity driven economics declares that more is always better. This empowers a caste system that transforms patrons into auto-cannibalistic consumers that obtain rather than contribute — it’s the fruit of labor rather than the labor itself. The illusion of material gain becomes the illusion of digital gain. Hinduism describes the illusion of the material world as Maya. The illusion of material gain has never been more enabled than in the integration of smartphones into every basic aspects of daily life. Wealth and Value Aren’t Objects. They Are Time and Attention. When wealth is defined as time, and value as attention, resources are only expendable, not obtainable. If we desire wealth and value, and we desire the acclamation that accompanies these acquisitions, the journey towards success is overwhelmingly consumptive. Should we define wealth and value as time and attention, the journey towards success becomes conservatory. Success is the combination of using time effectively and being intentional with our attention. The technology is insignificant beyond its application. Mother Teresa’s man under the banyan tree is social networking. If the banyan tree is the gathering spot to get the scoop then that banyan tree is social networking, it just isn’t social media. Differentiating social networking from social media is more than semantics. It is with great calculation and remorseless precision that media is profiteering from social engagement. Media is the through line from radio, to TV to the internet. Media thrives off a single objective, capture your attention and consume your time. Social media is just the latest extension of this economy. Take an intrinsic human need or desire (community and connectivity) and monetize it through paid media. Social media defines value as attention and wealth as time. This is why the largest growing corporations use a digital ecosystem designed to mine your time and attention like natural resources. They allow users to integrate their own commerce into the platform because, attention and time are the actual commodity. The worth of your attention is an active definition. We are deciding how to spend our finite time and where to use our limited attention at every moment of our day. Through every interaction we are being courted, and accosted with a projection of how we should be spending our time and attention. There is no way to be passive. Ambivalence is a decision. And make no mistake, there are millions of dollars, and many of the greatest thinkers in the world working endlessly to keep you engaged, and to keep you believing that real value is consumable. Consumption is always available. The never-ending stream of must haves, must sees, and must hears, only temporarily satisfies your craving while increasing your tolerance, and need for more. And more is waiting, just a ping away. It resonates through the walls of your pocket with jubilant clarity, alerting you that you’ve been liked, been messaged and that your immediate attention is desperately needed elsewhere. The idea that you, the individual, are needed is exactly what the eco-system has mutated to profit from. Because life is calling and if we don’t answer than someone else will. Even if you do get the coveted triple digit engagement numbers, the next benchmark will always require more resources. 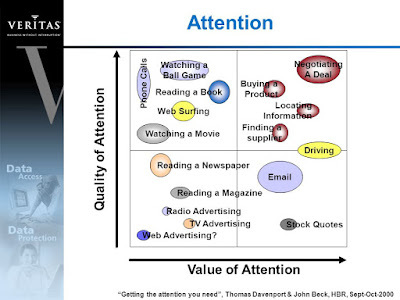 Value is reduced to perceived attention. Wealth is of less relevance than reach. The individual is merely chasing popular opinion — from which they are extracting attention. The individual is now operating solely by quantity driven economics, basically mob rule. Where quality awards significant value to expertise, quantity bases value on mass and volume. The best musicians sell the most records and the best writer is the one with the most followers on Twitter. Unfortunately, abundance is rarely connected to quality. Moreover, that quality is rarely consumable in volume. Instead, quantity economics strives to satisfy through breadth of experience rather than usefulness. The more places you go, the more content you consume and the more clicks you get, the more successful you are. And obviously you need to always be more successful to fulfill your natural instincts, so you always need to consume more. As we continue to #ScrollForSatisfaction and #LieForLikes we continue to devalue our limited attention and time while increasing the perceived value of consumable objects. Are we getting any benefit from the content that we are gluttonously consuming and hoarding. If not, we are merely burning up the very resources that these devices and applications are supposed to be giving us more of. Is the smartphone saving us time? Is texting improving our communication? Is social media more social, or more media? Who gets to decide? As we self aggrandize with outlier success stories — after all someone is going to make that money and get those likes — the vast majority of us are far more likely to end up like our reptilian friends and parish in the pursuit rather than arrive at the destination. As we continue to purchase, consume, use, scroll, search and swipe our way through the slightest discomforts of our life, the glaring reality is that this moment is our life. So what are we escaping from? What reality are we discounting in pursuit of a more comfortable ideal? What commodity are we spending our greatest personal resource to try and consume or at worst, become. It is likely that we only get one life, and if so, attention and time are finite. What is that attention worth to you? If we don’t decide for ourselves, someone will decide for us. “Your life is your life. Don’t let it be clubbed into dank submission.” — Charles Bukowski.